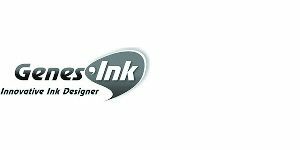 Partner of Encres DUBUIT since November 2017, Genes’ink is a global company, based in the south of France, leader on the conductive and semi conductive nano-inks market. This innovative sector is the electronics of tomorrow: flexible printed electronics. Genes’Ink is a company with worldwide vocation specialized in chemical innovation. Created in 2010, Genes’Ink develops, manufactures and commercializes a large range of innovative inks including the famous Lab’Ink and Fab’Ink, nanoparticles conductive and semi-conductive inks dedicated to the printed electronics sector (OPV, OLED lighting, flexible printed circuits, RFID, sensors, etc.). Located in Provence in Rousset, the company is in strong growth. It possesses 11 international patents and is an integral part of the «French Tech Aix-Marseille» ecosystem. Labelled CSR, Genes’Ink tool the initiative of the «Art to IoT. From creation to creation» contest, bringing together the world of artistic creation to the connected object.